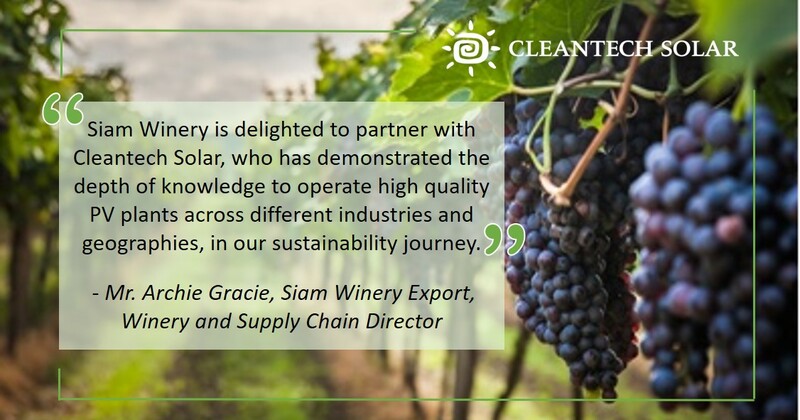 Thailand, Samut Sakhon, 3 October 2018 – Cleantech Solar, the regional leader in solar energy solutions for corporate customers in Asia, enters into a 20-year rooftop solar Power Purchase Agreement (PPA) with Siam Winery to deploy a 1 MWp on-site rooftop solar system. 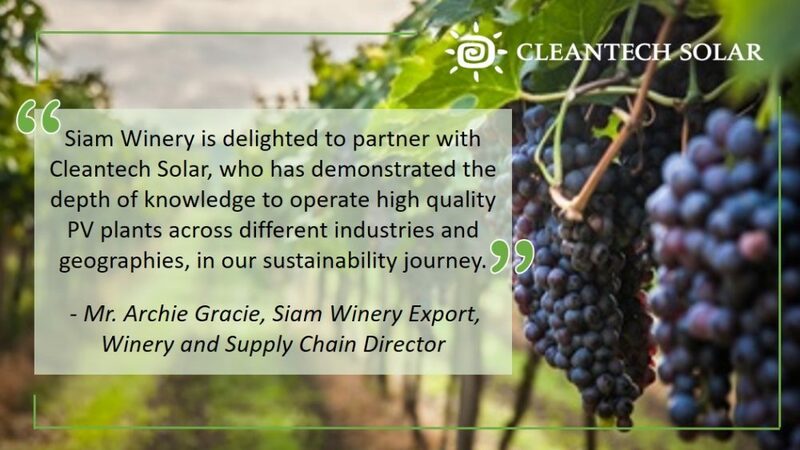 Through the solar Power Purchase Agreement (PPA), Cleantech Solar will fully finance the design, installation, and maintenance of the system while Siam Winery will enjoy the clean energy to be generated without any capital outlay. The PV system will be powered by 3,060 solar panels and is expected to generate about 26,556 MWh of clean energy over its lifetime, enabling Siam Winery to avoid 15,100 tonnes of CO2 emissions. View press release in Thai here.